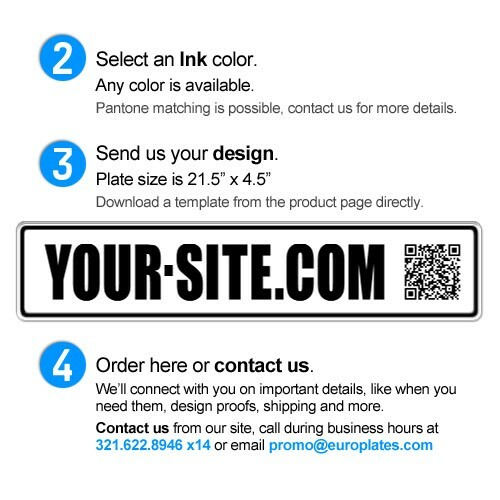 Not only do we make one of a kind Europlates for your personal use... we offer custom, embossed Europlates in quantity, to promote your company, products and events! 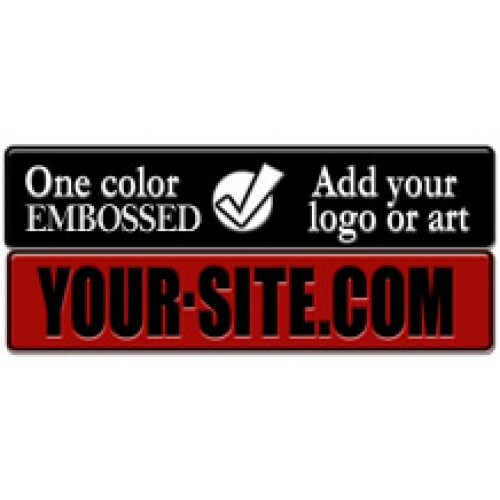 With just one color printing, this version cuts costs as well as lowers the minimum. Price breaks are based on quantity. Minimum quanitity of 100 plates are required for this product. 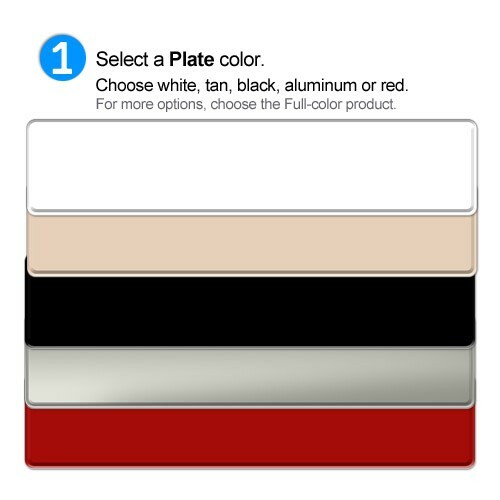 For this product, you first need to choose plate color. 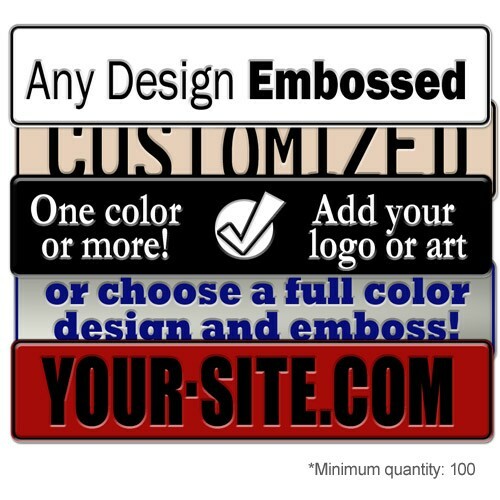 Choose from Red, Tan, White, Aluminum or Black. Then please specify the ink color. Exact Pantone colors are possible, but may incure an extra fee. And , for this item, we need to talk with you to go over the details, click here to contact us. Shipping UPS Ground is also considerably less expensive--and not available directly through the shopping cart. Prices listed here are the baseline and additional charges may apply. We are here to create custom artwork as needed. 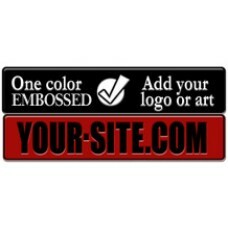 Also available is full color printing.